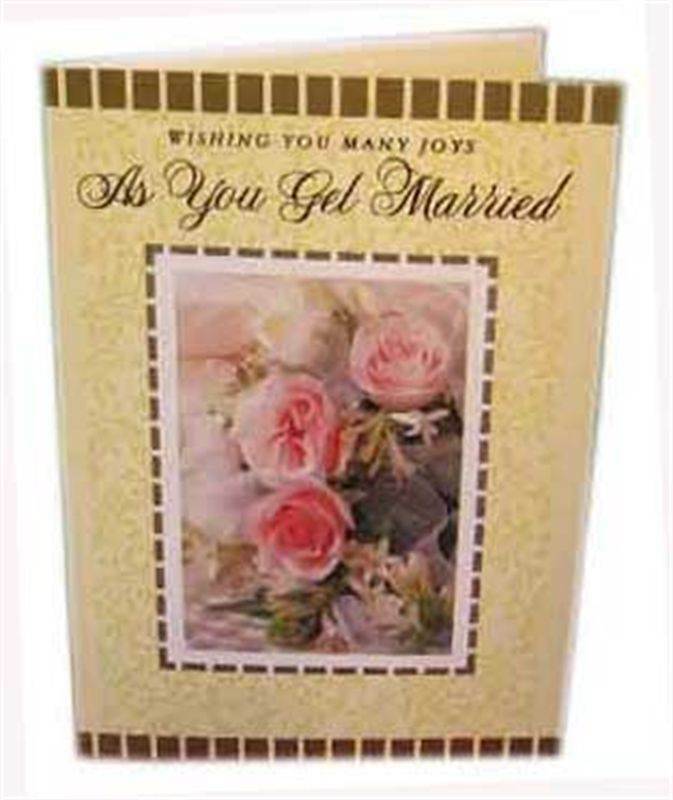 Front Message: Wishing you many joys as you get married. Inside Message: Moments of cherished togetherness..sharing and caring in good and bad times… loving each other forever… Wishing you these special joys of marriage. Congratulations Have a beautiful life ahead.